Part 1 of this Article published in July 2015 summarised the proposed scope of the SOPL and its key proposals. This second instalment summarises the proposed statutory adjudication regime. 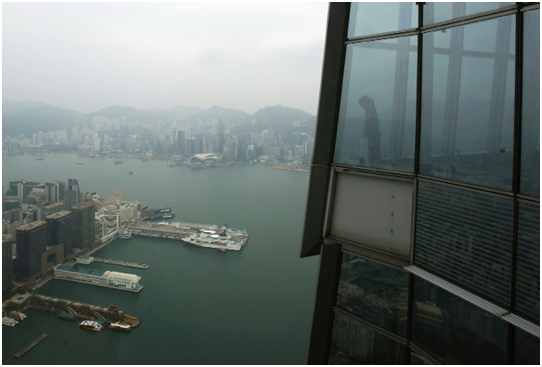 The proposed adjudication model for Hong Kong under the SOPL Consultation Document is said to be a midway model based on the approaches adopted in the UK and Singapore / New South Wales. The former provides the widest rights to adjudication while the latter provides more restricted rights. 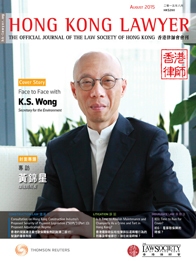 The “Hong Kong model” entitles both parties to refer specific disputes to adjudication. These disputes comprise (i) the value of work, services, materials and plant supplied and claimed in the Payment Claim prescribed by the SOPL1; (ii) other money claims made pursuant to any contractual provision and claimed in a Payment Claim (such as loss and expense and liquidated damages claims); (iii) set offs and deductions against amounts due under Payment Claims; and (iv) the time for performance or entitlement to extension of time (“EOT”) for performance of work or services or supply of materials or plant under the contract. The proposed right to adjudicate will not arise unless a Payment Claim is disputed and/or set off against or ignored by the paying party, or the paying party has failed to pay an amount which is admitted as due. The right to adjudicate is proposed as a statutory right. It cannot be contracted out of and cannot be restricted. For example, contractual provisions limiting and defining when a “dispute” has arisen before it can be referred to adjudication, or imposing pre-adjudication conditions (for example, referral of the dispute to the Architect for decision pre-adjudication) will be unenforceable. The Consultation Document proposes that certain disputes such as those concerning the correct interpretation of the contract, the date when completion was achieved and whether work is defective cannot be referred to adjudication. This is intended to ensure that the right to adjudicate is focussed on disputes which are likely to delay payment. Nevertheless, such disputes can be referred to adjudication if they are encompassed within wider disputes over valuations and money and time related claims under the contract. For example, the question of defects may have to be considered when assessing a set off against a Payment Claim. a dispute arising as to the time for performance or entitlement to EOT for performance of work or services or supply of materials or plant under the contract. The rationale f0or the above deadline includes providing a prompt resolution on an interim basis and decreasing the potential for ‘ambush’, as the paying party knows the period within which adjudication may be launched. Notice of adjudication (“Notice”): The claiming party (“Claimant”) commences adjudication by serving on the other party (“Respondent”) a Notice setting out the brief details of the parties, the nature of the dispute and the redress sought. Appointment of adjudicator: This must be done within 5 working days of the commencement of adjudication either by agreement, or by an agreed nominating body (for example, institutes of surveyors or other professional bodies) (“NB”), or by default, the Hong Kong International Arbitration Centre where no NB is stipulated in the contract and where no adjudicator is agreed. Claimant’s submission: The Claimant must serve its submissions together with all supporting evidence relied on (which may include documents, photographs, witness statements and expert reports) on the Respondent on or before the date of appointment of the adjudicator (“Appointment Date”). Copies must be served on the adjudicator on the Appointment Date or the next working day. Respondent’s response: The Respondent must serve its submissions and all supporting evidence relied on within 20 working days from receipt of the Claimant’s submission. Adjudicator’s decision: This must be reached and published with reasons within 20 working days (which can be extended up to 55 working days from the Appointment Date and beyond 55 working days if both parties agree) from receipt of the Respondent’s response. Varying the time for the Respondent to submit its response which can be earlier or later than 20 working days. Conducting the adjudication in such a manner as the adjudicator thinks fit, including requiring further submissions and evidence from either party, setting deadlines and issuing procedural directions, provided always that the adjudication is concluded within 55 working days from the Appointment Date or any agreed extended date. The rationale is that adjudicators should adopt a fair and robust approach to arrive at their decision promptly, without applying strict evidentiary rules and by dispensing with procedural formalities such as cross examination by legal representatives. Disregarding any submission or evidence or part thereof submitted by the Claimant in circumstances where the adjudicator considers the same comprises a submission or evidence which the Respondent was unaware of at the time the Notice was served and which should reasonably have been served with a Payment Claim or otherwise in advance of the Notice and which cannot fairly be considered and responded to by the Respondent in the adjudication. This is designed to discourage ‘ambush’ by a Claimant seeking to gain a tactical advantage over the Respondent. Resigning, if the adjudicator considers that it is not possible to decide the dispute fairly in the maximum time available including any extended dates agreed by the parties. Ordering or apportioning costs (see below). Costs: Each party bears its own legal costs of the adjudication. However, the adjudicator may decide which party pays the adjudicator’s fees and expenses or the proportions in which they are to be paid, by reference to the respective success of the parties in the adjudication. The proposed statutory regime contemplates that the entire adjudication process must be completed within a maximum of 55 days from the Appointment Date, unless extended beyond the permitted number of days by the parties’ agreement (which is unlikely to occur if the Claimant is seeking speedy payment). As a safeguard, a short period of time is allowed to the paying party to challenge the validity of the adjudicator’s decision, but only on procedural grounds. These include an adjudicator acting without or in excess of jurisdiction, failing to act independently and impartially, or breaching rules of natural justice. Any challenge to the correctness of the adjudicator’s decision on legal and/or factual grounds is not allowed. On this basis, decisions may at times be perceived as “rough and ready”. If either party is dissatisfied with the adjudicator’s decision, they can proceed to court or, (if the contract so provides) to arbitration, for a final determination. This would not be in the form of a challenge to or an appeal of the adjudicator’s decision, but a fresh consideration of the dispute which was adjudicated together with other matters which were not previously adjudicated. The outcome following the conclusion of the final court or arbitration proceedings may be that further amounts have to be paid by the paying party or must be repaid by the party who had received payment pursuant to the adjudicator’s decision. The proposed statutory adjudication regime seeks to achieve a rapid resolution of claims so that cash flow issues can be resolved promptly. Without a right to adjudicate, it may take an unpaid party a long time to obtain cash flow in accordance with its interim entitlements, or to resolve payment disputes. The costs incurred for adjudication on an interim basis are relatively low compared to final litigation or arbitration proceedings. Given that the timetable for commencing and concluding an adjudication is relatively short, parties who are affected by the statutory regime should familiarise themselves with the procedures and be prepared to lodge submissions and supporting documents promptly and efficiently. Whilst the proposed SOPL seeks to address the issue of ‘ambush’, for example, by investing the adjudicator with appropriate procedural powers and allowing a sufficient timeframe for the Respondent to lodge its submissions, it will remain to be seen if such provisions are necessarily adequate or effective in preventing ‘ambush’, and whether a particular adjudicator is sufficiently robust in mitigating the effect of any ‘ambush’ tactics which may be deployed, by issuing robust procedural directions. 1. Details of the amount claimed, the relevant work carried out, the basis of calculation and any other information and requirements prescribed by the SOPL must be observed when preparing the Payment Claim.